Cryptocurrencies have dominated the whole discussion around the blockchain technology. But as the hype around cryptocurrency is slowing down, it is paving the way for more focused and natural growth of the blockchain technology. The technology has boomed to a level that no big or small organization can ignore blockchain; not even if they hate it! It is not that only financial institutions are placing big bets on the blockchain, but it has the potential to revolutionize almost every sector including education, music, cloud storage, forecasting etc. The blockchain race has begun! The vast applications of the blockchain have intrigued companies across the globe to integrate some version of blockchain technology into their institution. The trend is visible with the massive influx of filed blockchain related patents. According to the research with Derwent Innovation, 631 patent families exist worldwide, and they received about1853 patents related to the blockchain, of which roughly 75% (465 patent families) were granted. In the United States, 1,045 patents have been published related to digital currency standards, digital currency exchanges, blockchain algorithms and infrastructure, blockchain front- and back-end applications, and blockchain-related enterprise technology. The research also reveals that no single company holds more than 100 blockchain-related patents. Medici is the only blockchain technology company within the top 10 blockchain patent assignees. Only a few companies that focus on developing blockchain technologies have filed for a patent; the remaining patent assignees are primarily from the information technology, financial and fintech industries. Another study by Juniper Research has found that nearly 6 in 10 (57%) large corporations are either actively considering, or are in the process of, deploying blockchain technology. Let us look at the giants exploring the blockchain technology and incorporating it into their working model. The insights from the Forbes Global 2000 list of the largest public companies in the world reveals that all ten of the largest public companies in the world is exploring blockchain. The technology is breathing new life in old-school companies like IBM and Visa. 1) IBM – The 106 years old IBM is amongst the first companies to recognize the potential of blockchain and work upon it. The company focuses on enterprise blockchain systems. IBM uses the Hyperledger Blockchain creator tool to help the organizations to create their own distributed ledger and smart contract systems. The company has partnered with many other businesses dealing with logistics to increase efficiency and make the blockchain-enabled platform cost efficient. IBM along with Walmart aims to make the supply chain more secure. 2) Walmart – Walmart has already partnered with nine other food companies and IBM to create a Blockchain for tracking food globally through its supply chain. Walmart also plans to invest in building a workforce of autonomous robots controlled by the blockchain technology. The company also filed for a patent application that uses blockchain technology to track delivery drones as they transmit packages from physical stores to customers. 3) Microsoft Corp – The tech giant has been an avid enthusiast of the blockchain technology since its inception. The company had a vision for the futuristic tech since 2014 as it accepted Bitcoin payments on its website when almost no one had even heard of cryptocurrencies. The company currently has over 40 blockchain patents related to the use of Blockchains as payment gateways and for secure storage to its name. 4) MasterCard – After seeing the immense potential of the blockchain the company has invested a lot of resources into implementing blockchain into their services. The company filled for more than 30 patents and has over 20 patents to its name. The company aims to create new commerce opportunities for the digital transfer of value by allowing businesses and financial institutions to transact on a distributed ledger. 5) Google – The company has been the most revolutionizing organization of the present millennium. The company has experimented with every revolutionary technology including cloud technology, neural networks, big data, artificial intelligence, augmented reality, self-driving cars, machine learning etc. Google is the second biggest corporate investor in blockchain technology. Google expects to profit from its equity investment in blockchain startups and sees the perspectives of this industry, and it also wants to integrate blockchain for enhancing its corporate processes. 6) Huawei Technologies – The Chinese tech-giant believes that blockchain will disrupt the mobile industry and it wants to use the blockchain to organize the mobile industry and reduce fraud and trickery. 7) Bank of America – The banking giant, holds the maximum number of blockchain patent, at 43. The bank wants to employ blockchain technology to use open-sourced ledgers to create more efficient financial transactions for consumers and business. The bank has applied for 9 more patents recently, and when combined with Ripple’s XRP token, it would save billions of dollars every year in cross-border payments. 8) FedEx – The company handles billions of dollars worth of cargo every year and is one of the world’s biggest logistics management companies. FedEx is using blockchain technologies to track high-value cargo and are soon planning to extend the functionality to almost all their shipments. Thus, it has become the first shipping company to do so. 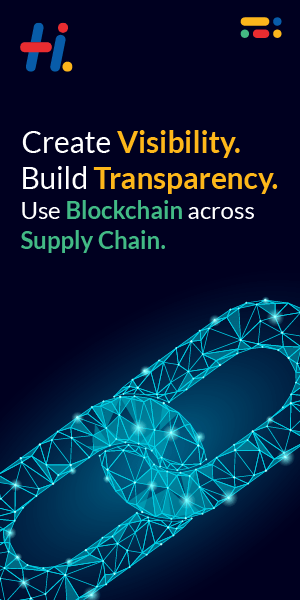 The company is also helping to develop the Blockchain based industry standards for supply chain logistics. 9) Facebook – The global organization had come up with plans to launch its own cryptocurrency. Facebook has also not written off the possibility that a blockchain equipped social network that will offer users full power over their data and the ability to directly benefit from sharing it. 10) KIK – The company is one of the biggest online chat platforms with over 300 million active users. The KIK concluded its ICO in 2017 only and has integrated the Kin cryptocurrency in their platform which can be used to make payments to other users of the platform. The company aims to integrate blockchain based payments into services that people already use creating an entire economy around their cryptocurrency.